DENVER – Today low-fare carrier, Frontier Airlines announced service from three new cities, adding eight new routes to their network that will begin service this fall. The airline will add new service in Albany, Bloomington and Greenville. To celebrate these new routes the airline is offering special introductory fares as low as $34 available at FlyFrontier.com. From Albany and Bloomington, the low-cost carrier will add flights to/from Denver and Orlando. Greenville/Spartanburg will see flights to/from Denver, Las Vegas and Orlando and Tampa. F9 179 Depart GSP: 12:20 p.m. Arrive DEN: 1:50 p.m.
F9 178 Depart DEN: 6:30 a.m. Arrive GSP: 11:30 a.m.
F9 1792 Depart GSP: 3:40 p.m. Arrive MCO: 5:15 p.m.
F9 447 Depart MCO: 6:05 p.m. Arrive GSP: 7:50 p.m.
F9 447 Depart GSP: 8:40 p.m. Arrive LAS: 10:00 p.m.
F9 1792 Depart LAS: 7:40 a.m. Arrive GSP: 2:51 p.m.
F9 175 Depart BMI: 5:21 p.m. Arrive DEN: 6:45 p.m.
F9 1502 Depart BMI: 10 a.m. Arrive MCO: 1:30 p.m.
F9 131 Depart ALB: 12:32 p.m. Arrive DEN: 4:45 p.m.
F9 130 Depart DEN: 6 a.m. Arrive ALB: 11:42 a.m.
F9 130 Depart ALB: 12:45 p.m. Arrive MCO: 3:40 p.m.
F9 131 Depart MCO: 2:15 p.m. Arrive ALB: 4:59 p.m.
Flights from GSP to TPA will begin this fall and will be available for purchase in July. 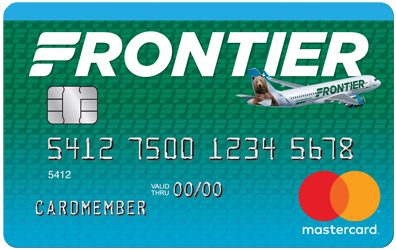 Frontier Airlines is committed to offering ‘Low Fares Done Right’ to more than 90 destinations in the United States, Canada, Jamica, Dominican Republic and Mexico on more than 350 daily flights. Headquartered in Denver, Frontier’s hard-working aviation professionals pride themselves in delivering the company’s signature Low Fares Done Right service to customers. Frontier Airlines is the proud recipient of the Federal Aviation Administration’s 2017 Diamond Award for maintenance excellence and was recently named the industry’s most fuel-efficient airline by The International Council on Clean Transportation (ICCT) as a result of superior technology and operational efficiencies.